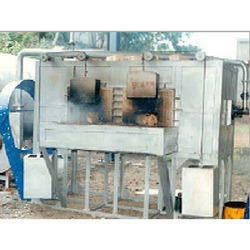 Riding on unfathomable volumes of industrial expertise, we are manufacturing an excellent range of Customized Furnace. We are indulged in manufacturing and supplying supreme quality forging furnaces that are available in various specifications as per the clients’ specifications. Moreover, our range of forging furnaces is fabricated using high-grade raw materials. Further, these are known to provide optimum usage and are needed for close die forging plants and open forging. With the help of our well-informed professionals, we are occupied in providing an extensive series of Forging Furnace. The forge furnace is engineered giving high productivity and continuous operation at forging temperatures which is usually high. The wall and hearth are constructed in such a way that are resistant to abrasion and shock. Encon Thermal Engineers design, develop & manufacture Billet Reheating Furnaces. Our reputation in the market is largely attributable to our precision-designed Heat Treatment Furnaces. 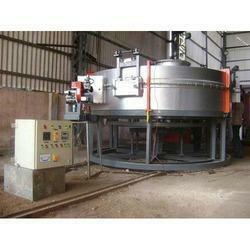 We manufacture and export a wide range of Billet Re-Heating Furnaces of various capacities. The maximum capacity is 45 tons per hour. It is engineering equipment that is widely used in steel rolling mills. These are available in various sizes and shapes as per the customer’s requirement and specifications. These Furnaces can be tailor made at very competitive rates.